David Harbour Issues Hellboy Wedding Twitter Challenge to CS Editor! David Harbour Issues Hellboy Wedding Twitter Challenge to ComingSoon Editor! At Saturday’s Hellboy panel at New York Comic-Con, lead actor David Harbour had a huge surprise for ComingSoon.net. Back in September our managing editor (and massive Hellboy fan) Spencer Perry and his fiancé Carly Lane of SYFY Wire asked Harbour on Twitter if he could officiate their wedding in March. 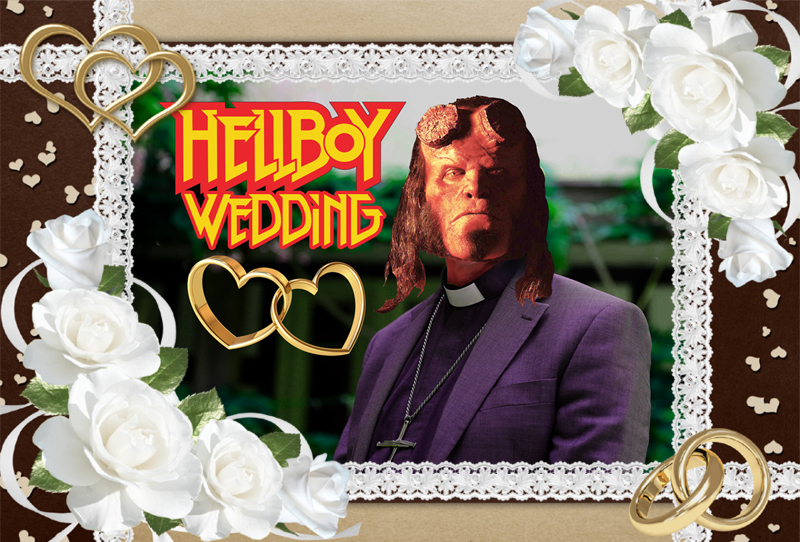 Harbour gave a shout-out to Carly during the panel and eventually went onto Twitter and announced that he will perform the Hellboy Wedding ceremony in FULL HELLBOY MAKE-UP if his tweet gets 166K retweets! Check out Harbour’s tweet below and HELP RETWEET IT and spread the word so we can make these dream nuptials happen for Spencer! 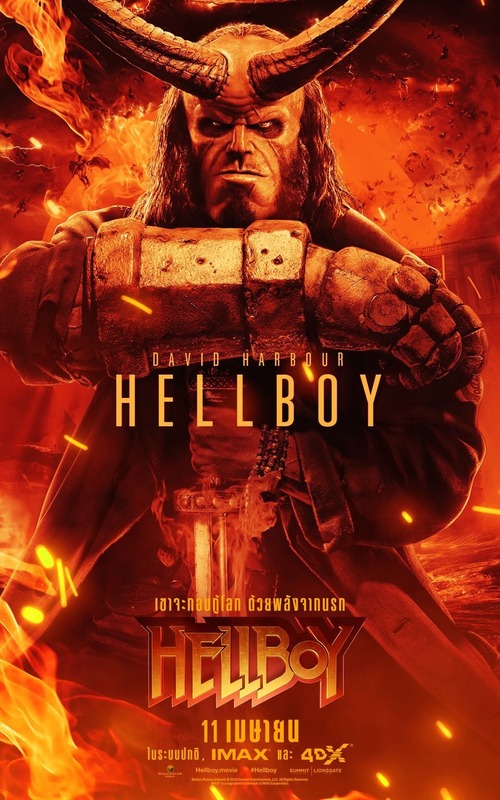 Based on the acclaimed graphic novels by Mike Mignola, the new Hellboy story centers around Hellboy (David Harbour), who is caught between the worlds of the supernatural and human and battles an ancient sorceress bent on revenge. David Harbour stars as the title character in the upcoming film and is joined by Ian McShane (Deadwood, American Gods) who will play Hellboy’s adoptive father, Professor Trevor Bruttenholm (aka Professor Broom), Milla Jovovich (The Fifth Element, Resident Evil franchise) as villain Nimue aka the Blood Queen, Sasha Lane (American Honey) will play Alice Monaghan, Penelope Mitchell (Hemlock Grove) will play the elder witch Ganeida and Daniel Dae Kim (Hawaii Five-0, LOST) is playing Major Ben Daimio.